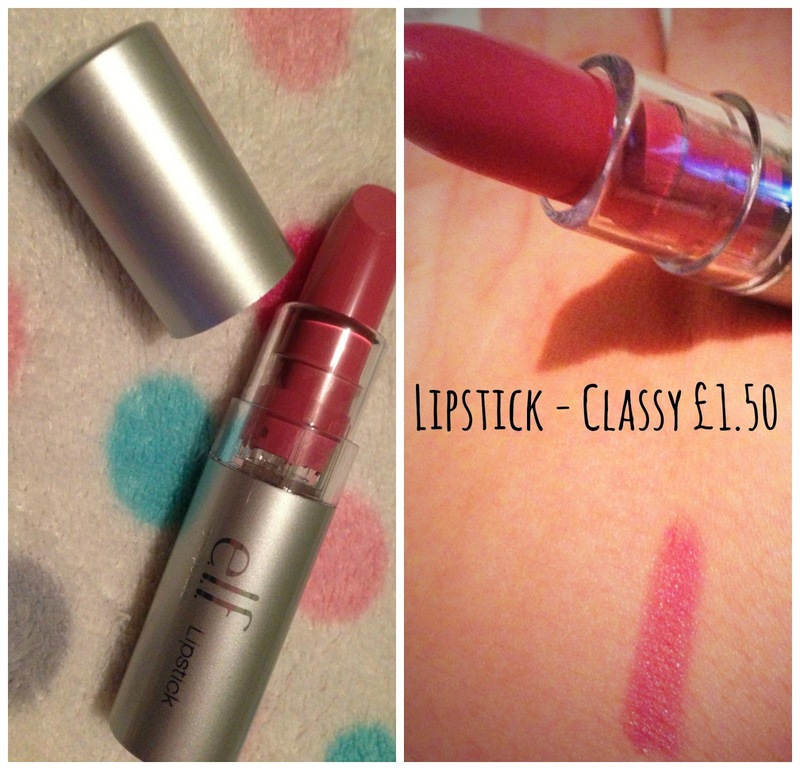 I have never bought any thing from the E.L.F site but i have looked at it a few times and lusted over their incredably cheap products. 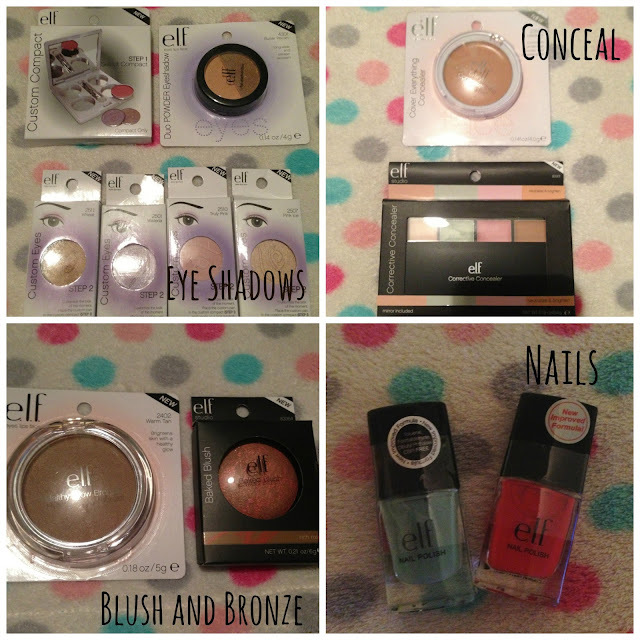 i finally decided to place an order when i realised they had an offer of 60% off everyyyy thing ! I actually went a bit crazy and added half the site to my basket. i have tried to photo everything possible but here is everything i bought ..
Wow i didn't actually realise how much i had saved :) happy times. 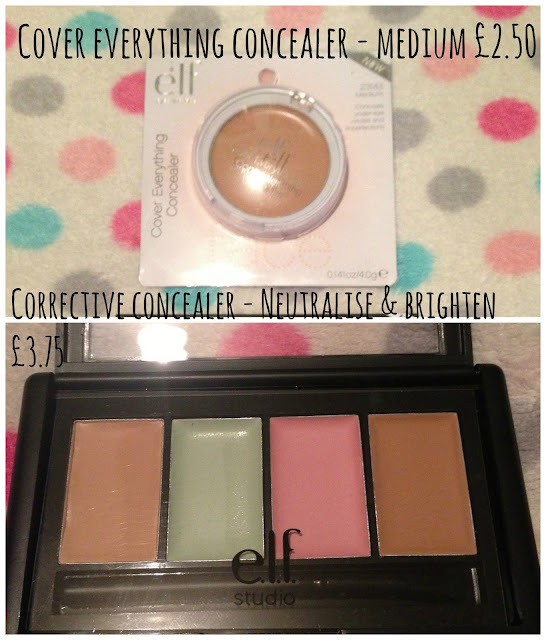 A few of these products such as corrective concealer i have not used before so i am quiet interested in learning how to use it and how it works within my makeup routine. I am in lovee with the colour of the Blush that is Rich rose and also the smell of the lipstick - classy, it smells good enough to eat. Iv not tried all the products yet but the first thing i did was paint my nails and the colours are so vibrant i only needed two coats for them to look perfect and so far i have no chips after 3 days! pretty impressed with that. All of the products are fairly decent quality especially the studio range which are slightly more pricy, the products i bought within this range was the baked blush and corrective concealer at £3.75 each ( this is not expensive attt all). The packaging these products came in did look more high end than the others as you can see from my photos. 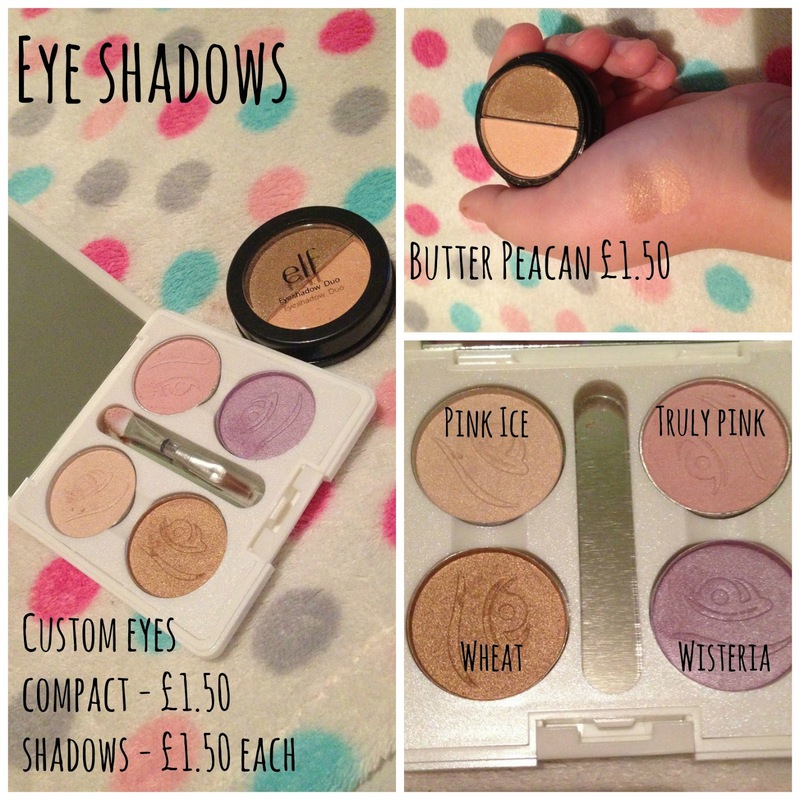 Im hoping to use these products for more of an every day face as they are cheap and i don't mind wearing them for work and things. It will save me using and re-buying my higher end and higher priced products. 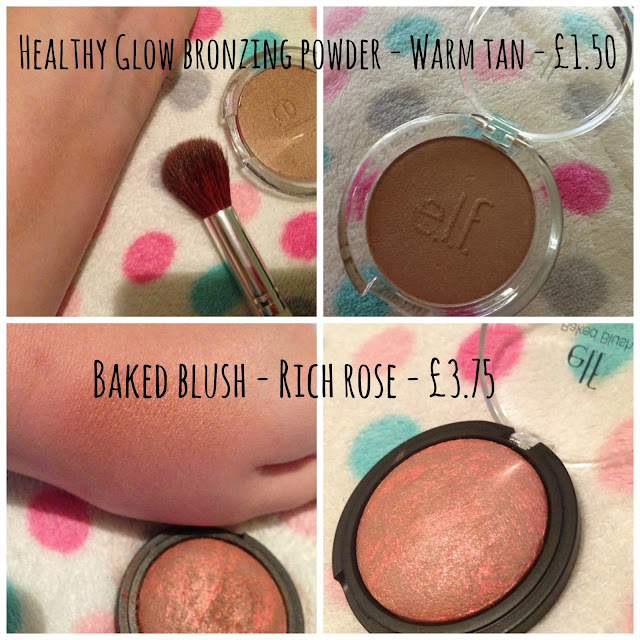 If youre interesting in buying E.L.F products they currently have 50% off so grab them while you cannn http://eyeslipsface.co.uk ! I love your blog :) new follower here! i know im really enjoying using it so far ! oooh thats pretty good too ! !